Sinead Harnett has hinted at a new collaboration with Iain James. James recently served as vocal producer for Ella Henderson’s debut album, “Chapter One,” out now via Simon Cowell’s label Syco Music. The studio collection debuted at number one on the UK Albums Chart. His songwriting resume includes works for Emeli Sande (“Read All About It”), Little Mix (“Wings”), Misha B (“Do You Think of Me?”), Craig David (“Officially Yours”), A*M*E (“Heartless”) and Leona Lewis (“One More Sleep”). Meanwhile, Harnett is expected to release her yet-to-be-titled debut album next year via Virgin EMI Records. The Universal Music Group imprint is also home to artists including MNEK, Ella Eyre, Tanika, and Corinne Bailey Rae. Among the musicians backing Harnett on the LP are Chris Loco (Kylie Minogue, Rita Ora), James Fauntleroy (Beyonce, Justin Timberlake), Two Inch Punch (Miguel, Jessie Ware) and Justin Parker (Ellie Goulding, Lana Del Rey). Watch the music video for Rudimental’s “Baby” – featuring guest vocals from MNEK & Sinead Harnett – below. Misha B has released the music video for her new single online. “Here’s to Everything (Ooh La La)” marks the third promotional single from the British singer/songwriter’s upcoming debut album, out soon via Sony Music Entertainment / Relentless Records. The track was co-written and produced by Talay Riley, whose credits include “Whose Laughing Now” by Jessie J [Universal Music Group / Republic Records], “Tidal Wave” by Chris Rene [Sony Music Entertainment / Epic Records] and “In My City” by Ellie Goulding [Universal Music Group / Polydor Records]. Other musicians backing Misha B on her as-yet-untitled debut album are Fraser T. Smith (Britney Spears, Rita Ora), Shahid “Naughty Boy” Khan (Marlon Roudette, Alesha Dixon), Uzoechi “MNEK” Emenike (The Saturdays, Amelia Lily), Eshraque “Ishi” Mughal (Alexandra Burke, Tinie Tempah) and Mich “Cutfather” Hansen (Kylie Minogue, Pixie Lott). Parker Ighile has debuted the music video for his new single online. He also collaborated with top songwriters including Olivia “Livvi Franc” Waithe, Tanya Lacey, Erika Nuri, Victoria Hansen, Camille Purcell and Iain James. 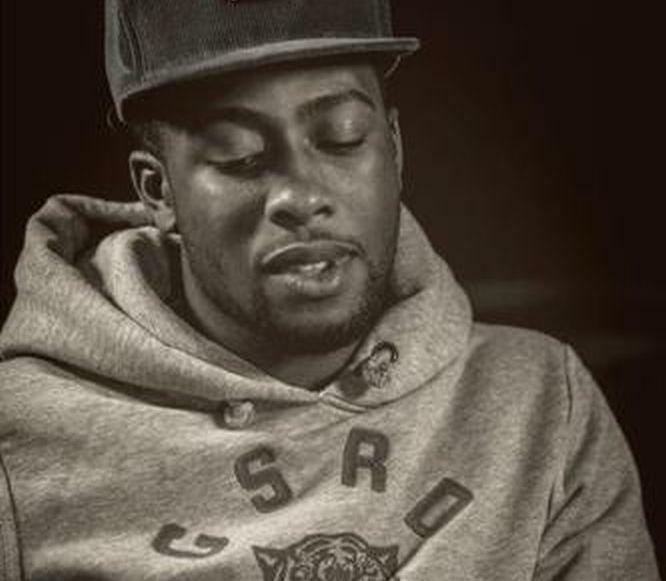 Look out for his forthcoming placements on the next albums by Misha B [Sony Music Entertainment / Relentless Records], Angel [Universal Music Group / Island Records] and Rita Ora [Sony Music Entertainment / Columbia Records]. Misha B has announced the title of her new single. The British singer/songwriter will release “Here’s to Everything” as the third promotional single from her upcoming debut album, scheduled for release later this year via Sony Music Entertainment / Relentless Records. “Everything” serves as the follow-up to “Do You Think of Me,” which peaked at number nine on the UK Official Singles Chart. As previously reported, the as-yet-untitled collection by Misha B will boast productions from TMS: Peter Kelleher, Thomas Barnes & Ben Kohn (Little Mix, Emeli Sande), Uzoechi “MNEK” Emenike (Charli XCX, Mutya Keisha Siobhan), Mich “Cutfather” Hansen (Pixie Lott, Ed Drewett), Fraser T. Smith (Rebecca Ferguson, Nelly Furtado), Eshraque “Ishi” Mughal (Cover Drive, Alexandra Burke) and Shahid “Naughty Boy” Khan (Cheryl Cole, Leona Lewis). Misha B has scheduled the release date for her upcoming debut album. The British singer/songwriter will release the still-untitled project in the United Kingdom on March 11 via Sony Music Entertainment / Relentless Records. In addition to lead singles “Home Run” and “Do You Think of Me,” the new collection by Misha B is confirmed to boast productions from TMS: Peter Kelleher, Ben Kohn & Tom Barnes (Emeli Sane, Professor Green), Eshraque “Ishi” Mughal (Alexandra Burke, Cover Drive), Mich “Cutfather” Hansen (Kylie Minogue, Jordin Sparks), Shahid “Naughty Boy” Khan (Marlon Roudette, Alesha Dixon), Fraser T. Smith (Ellie Goulding, Tyler James), Uzoechi “MNEK” Emenike (Amelia Lily, Charli XCX), Mr. Hudson (Pixie Lott, Tyler James), Daniel “HyGrade” Traynor (Cheryl Cole, Dionne Bromfield) and Midi Mafia: Kevin Risto & Waynne Nugent (Fantasia Barrino, Cee Lo Green). Songwriters include Sophie Stern (Conor Maynard, Britney Spears), Iain “Sparx” James (Little Mix, One Direction), Ayak Thiik (Tinchy Stryder, Kelly Rowland) and Michael “Mike Del Rio” Gonzalez (Skylar Grey, Christina Aguilera). 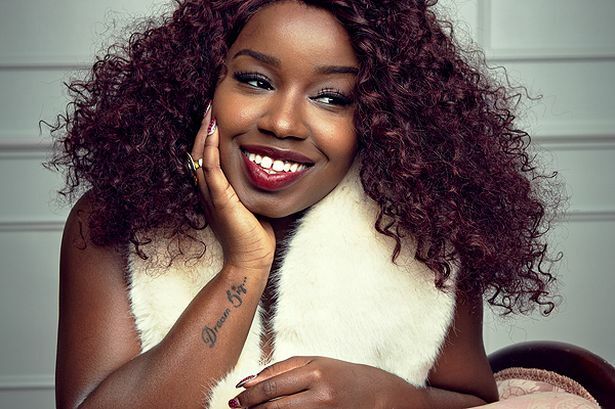 British singer/songwriter Misha B has teamed up with Sophie Stern for her upcoming as-yet-untitled debut album, which will be released in March 2013 via Sony Music Entertainment / Relentless Records. Recent songwriting credits by Stern include “Can’t Say No” by Conor Maynard [EMI Music Group / Parlophone Records] and “Trip to Your Heart” by Britney Spears [Sony Music Entertainment / Jive Records]. She also confirmed placements on the next albums by Becky G [Sony Music Entertainment / RCA Records], Sabi [Warner Music Group / Atlantic Records] and The Veronicas [Warner Music Group / Sire Records]. Meanwhile, the new collection by Misha B will boast further songwriting contributions from Iain “Sparx” James (Little Mix, One Direction), Ayak Thiik (Tinchy Stryder, Kelly Rowland) and Michael “Mike Del Rio” Gonzalez (Skylar Grey, Christina Aguilera). Producers include TMS: Peter Kelleher, Ben Kohn & Tom Barnes (Emeli Sane, Professor Green), Eshraque “Ishi” Mughal (Alexandra Burke, Cover Drive), Mich “Cutfather” Hansen (Kylie Minogue, Jordin Sparks), Shahid “Naughty Boy” Khan (Marlon Roudette, Alesha Dixon), Fraser T. Smith (Ellie Goulding, Tyler James), Uzoechi “MNEK” Emenike (Amelia Lily, Charli XCX), Mr. Hudson (Pixie Lott, Tyler James), Daniel “HyGrade” Traynor (Cheryl Cole, Dionne Bromfield) and Midi Mafia: Kevin Risto & Waynne Nugent (Fantasia Barrino, Cee Lo Green).